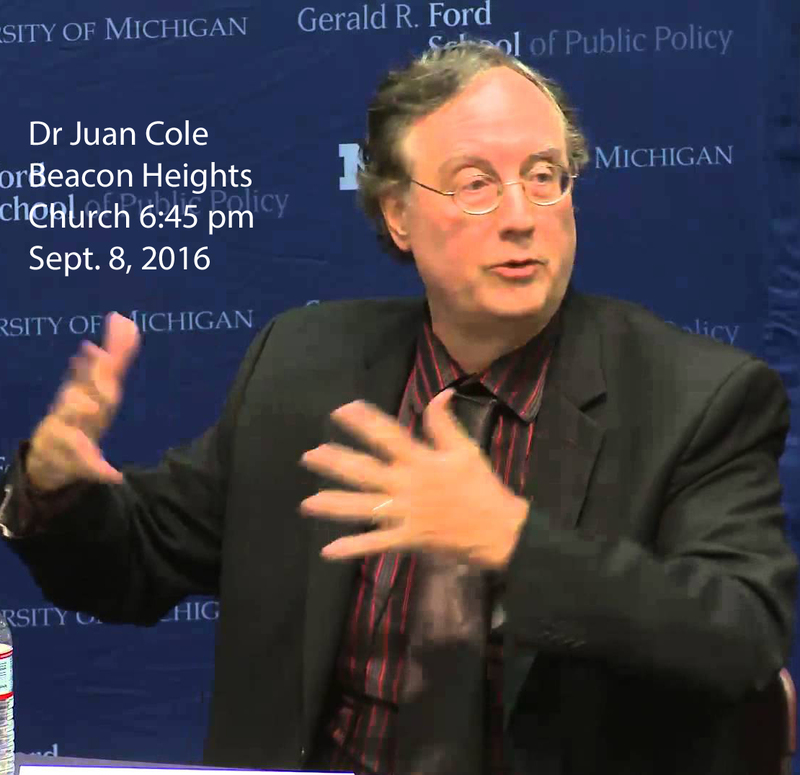 Juan Cole Juan Cole is one of the foremost American scholars/commentators on the modern Middle East. He is Richard P. Mitchell Professor of History at the University of Michigan. Since 2002, he has written a weblog, Informed Comment (juancole.com) which is also syndicated on Truthdig.com. Free, open to the public. Professor Cole will join Indiana Center for Middle East Peace on Thursday, September 8th discussing "US Foreign Policy and Contemporary Issues in the Middle East." "